1. It shows Cecelia Larsen sitting at the console typewriter and Bob Kuhn sitting at the CRT. I do not recall the name of the person standing at the Analex line printer. 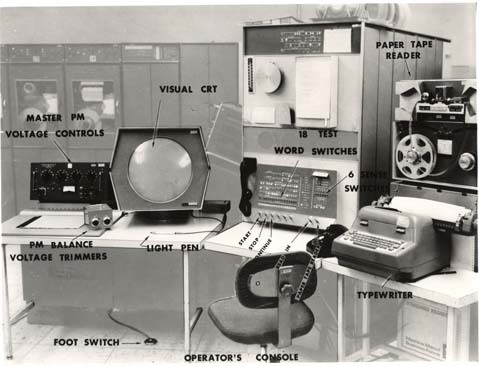 For reasons that I can't explain, the configuration of the console devices (Typewriter and CRT) shown in this picture was not favored by the users. The more accepted arrangement is shown in all the other views of the PDP-1 console area; CRT on the left and typewriter on the right. 2. The historical value of the photograph shows - albeit only partially - the UPTIME 2,000 cards per minute card reader in the lower right and the ANALEX printer. Both devices were not rugged enough to survive trouble-free the heavy usage on our PDP-1. The card reader was replaced with an IBM 1402 card reader (1,200 cpm) and an IBM 1403 N-1 printer (600 lines per minute). This is the only photograph in which the UPTIME card reader appears. The PDP-1 was, as far as we were concerned, the first effective, elegant mini-computer. It arrived at the Laboratory in 1961. We had expected delivery in 1960, but some unexpected purchasing politics in Washington caused the delay. 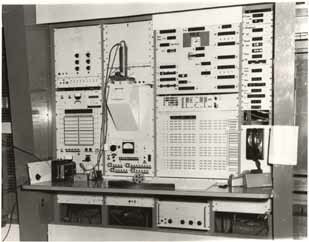 The computer originally was intended to support certain input/output functions; the card-to-tape and the inverse, tape-to-printer and tape-to-film functions. Doing that would leave more time for the big, important user problems to run on all the worker computers. A second, and far more interesting, purpose was its use as a place where things could be tested before attempting to use them on the big machines. We called the PDP-1 our "Romper Room" because all of us were very much learners and idea try-outers. Here, we could play around with all sorts of things that might be useful on the larger "Physics Computers," and not be badgered by others needing to use the computer. We could test ideas, both software and hardware and, most importantly, get immediate feedback. There were three features that endeared the PDP-1 to us users. First, since one could sit at the console, it was very easy to write and correct programs. Second, it was very easy to attach all sorts of I/O devices and, third, is was easy to get time on this machine. We learned very quickly, that only the card-to-tape, and possibly the tape-to-film services had a beneficial effect on the production loads of the worker computers. The other services did not represent enough volume to make a difference, and using them took too much time--in the opinions of the users who demanded that such services, especially film recording, be available on the worker computers. The Romper Room role, however, was an outstanding success. By the time the PDP-1 arrived, we had begun thinking about the grand interconnection of all our computers to facilitate resource sharing. This planning ultimately resulted in the development of the "Octopus"  network. All sorts of ideas for Octopus hardware and software were first tried on the PDP-1. There were two main reasons why this worked so well: Building interfaces for this machine was very easy and, when using it, there was no shouting and screaming from users waiting for you to finish and get out of the way so they could run their (important) problems. On the big machines, every second was scheduled; people evolved very devious schemes to start their turn early and run a bit into the next person's time slot. 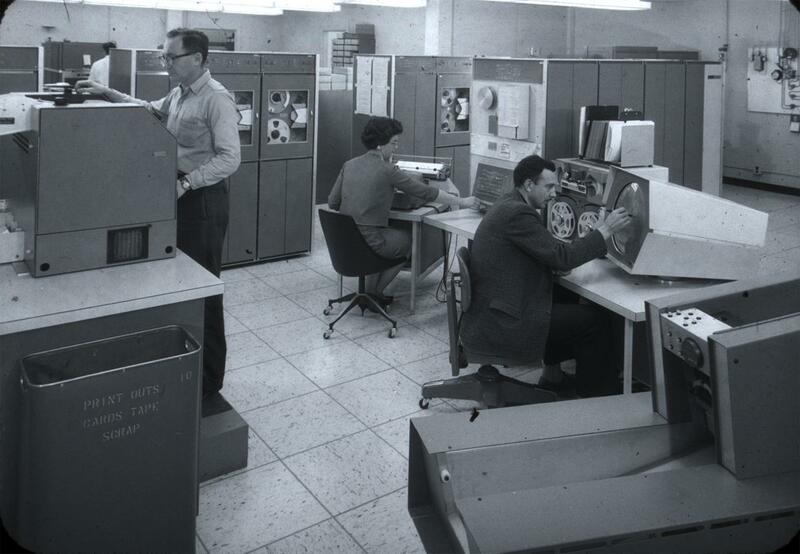 In contrast, work on the PDP-1 was peaceful. Also, by virtue of sitting there while the program was executing, one could get a feeling for how the program ran, as well as time to pause and think, and make changes. Very civilized. The general problem with our Romper Room activities was that anything that took significant time to complete but didn't have anything to do with nuclear research was "frowned upon," and any needed support was only slowly and grudgingly provided. As the Octopus idea became more specific, the PDP-1 was used to study what kind of keyboard would be best for use with the terminals to be installed in the users' offices. The two keyboards most heavily studied were the IBM Selectric I/O typewriter and the Teletype ASR 33. Based on initial costs and the expected costs for maintenance, the ASR 33 was chosen. The PDP-1 had two registers, the AC or Accumulator and an IO register. The basic cycle time for instructions that referenced memory was 10 microseconds. Instructions that did not need a memory cycle took 5 microseconds, and certain combinations of such instructions could be combined into one operation. These included the shift/rotate group, the skip group, and the general-register-manipulation or operate group. I can't resist noting that the modern personal computer comes with over 200 million 8-bit bytes (my Macintosh has 1.2 billion bytes). Initially, there were 12K 6-bit bytes (4K 18-bit words) available on the PDP-1. Modern memories tend to be filled with very sloppily-cleaned up system programs. That was definitely not true for PDP-1 system programs; not a single memory word was ignored. Table 1 shows a rough summary of the I/O devices installed on the PDP-1. The UPTIME reader was very hard on the cards, rendering them unusable after two or three passages through the machine. It also proved too difficult to maintain, so it was replaced by an IBM 1402 card reader and punch. Similarly, the Analex printer was unable to survive the demands placed on it, so an IBM 1403 printer was installed. Our Computer Support Engineers, a group of very talented people designed unique interfaces for these devices. They also did all of the other I/O interfaces. 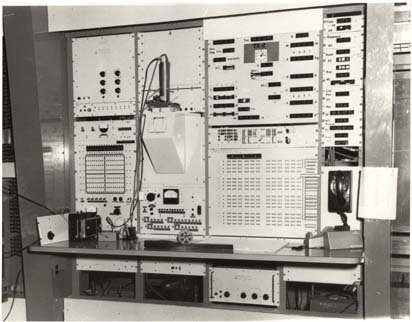 The prevailing orthodoxy held that IBM equipment was the most difficult to interface but was very reliable. This led to the idea that, if any of us ever became king, we would decree that IBM was not encouraged to design any computer equipment, and all viable computer equipment designed by anyone else would be manufactured only by IBM. Initially, our Computer Support Group included Jack Oliver, Marvin Lehman, Ervie Ferris, and others I cannot now remember. The group was headed, initially, by Bob Wyman. The camera, on the other hand, was excellent, but I have to admit that its speed turned out to be unimportant because we had simultaneously added a dd-80 to an IBM 7090 (worker) computer. 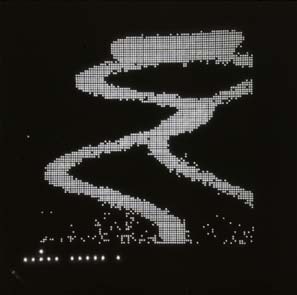 The effect was that such filmed output coming from the big simulation codes was produced on the worker computers (physics), thereby shrinking the time to projection. (We used 30 frame/sec cameras, made for us by Flight Research, on these dd-80s attached to some of the worker computers, and there, such speed was useful.) 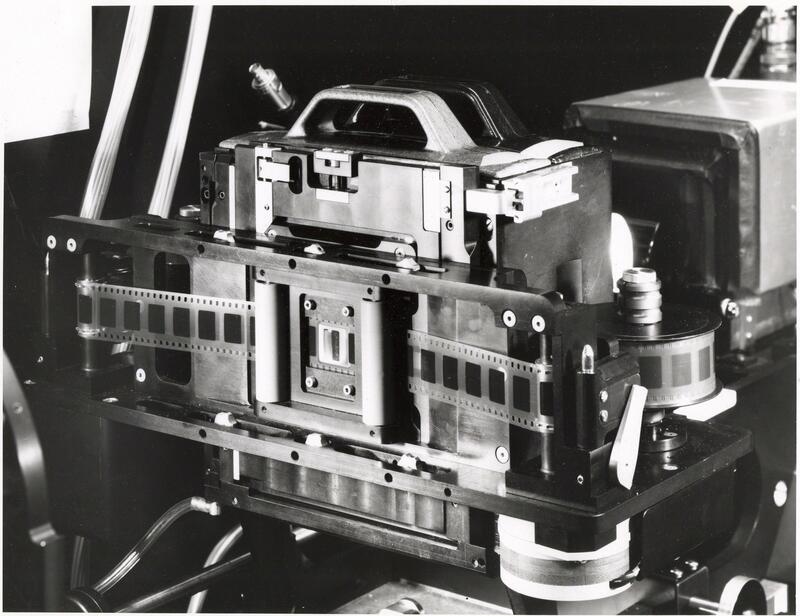 While the camera system on the PDP-1 wasn't heavily used for making the movies produced on the worker machines., it did get moderately heavy use from various other applications. 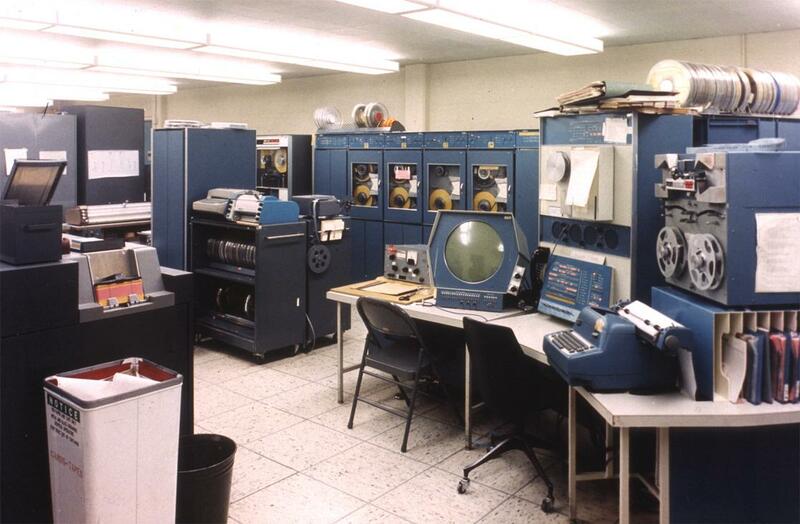 This is a view of the PDP-1after things had settled down. At the extreme left is the punch end of the IBM1402 card reader/punch. Also on the left, in the background, is the 30-inch Cal Comp plotter. On the top of a tape cart is one of the IBM "golf ball" Selectric typewriters we tested and, next to it, a 12-inch Cal Comp plotter. 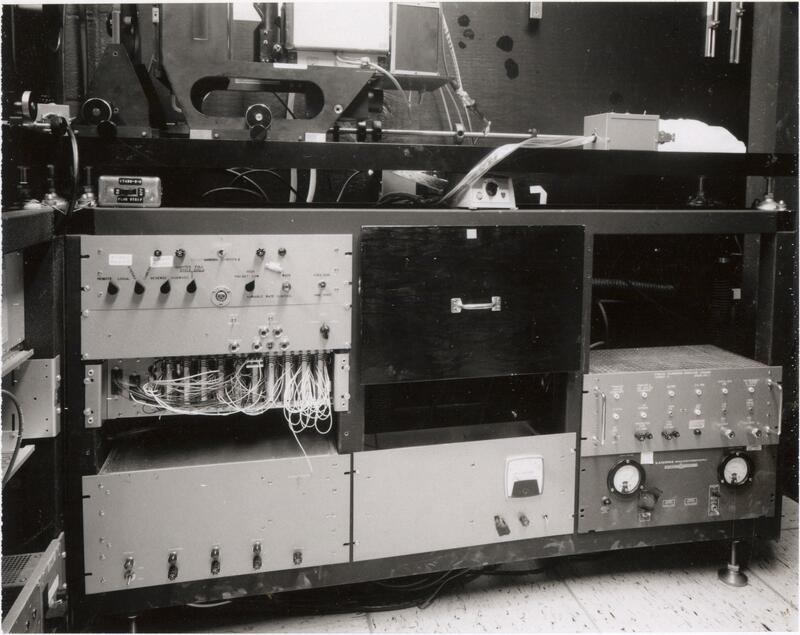 Behind the plotter is the Mylar tape punch and, further in the background, an IBM 729 mod VI tape handler (one of two) next to 4 Potter tape handlers. In the center foreground is the Type 30 direct-view CRT. On its left is the Rand Tablet and various controls. Attached on the right of the Type 30 is a sensitivity control for the Eyeball, which is not shown. There is a telephone handset on the left of the CPU control panel and four speakers above that. 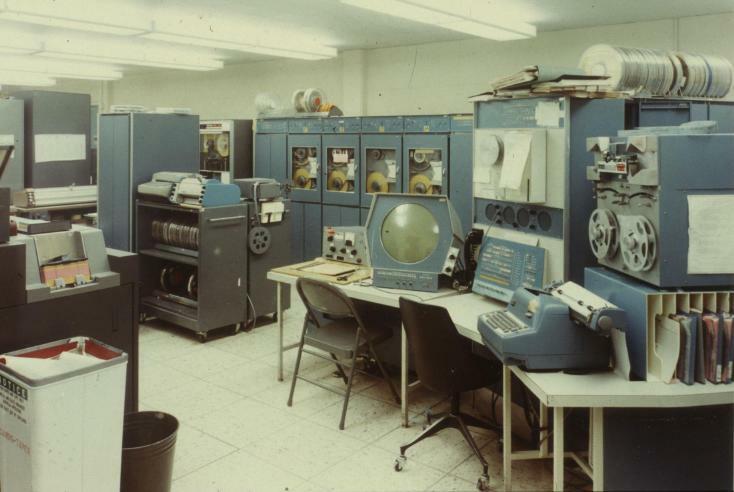 The PDP-1 input typewriter sits below some paper tape handlers. Not shown is the IBM 1403 printer and the dark room that housed the precision display, cameras, and Eyeball equipment. 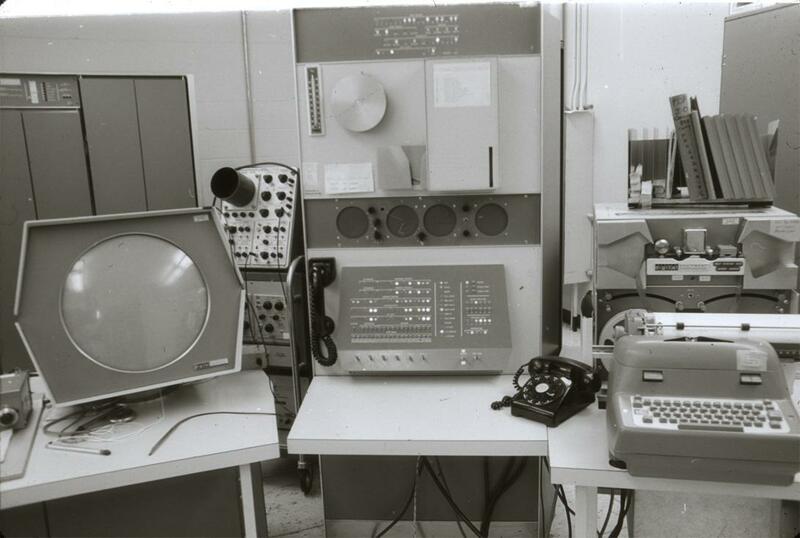 Images of the PDP-1 system hardware and associated devices, described below, can be found in the PDP-1 photo album, located immediately after the descriptions. Type 30 Direct View CRT + Type 31 High Precision 5" CRT + Camera and light pen Direct View CRT + New Light Pen; 5" CRT + special phosphor, Mitchell camera, claw pull down, pin registered, 1,000 ft magazines, special (CRT) dichroic filters and reference leg. 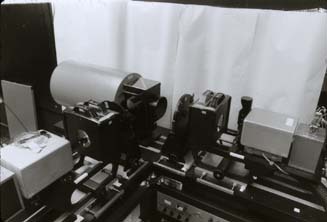 Initially, the process of putting card images on tape was done several times per day, but this usage was hardly used after time sharing was introduced. 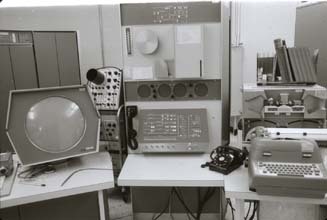 And, as noted earlier, the dd-80s were used to produce films, thus it is fair to say that these PDP-1 services were made unnecessary by the rapid rate of computer developments almost before they were provided. This is not to say they weren't used at all--to the contrary. An unanticipated use involving paper tape arose. 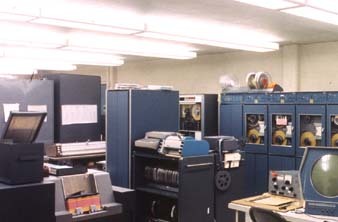 As the various engineering and chemistry groups began automating their labs and machine shops, the PDP-1 was pressed into service to convert magnetic tape output from their design codes to punched paper tape for use in the various automatic milling machines, lathes and other instruments. Since paper tape is not so robust, the Mylar tape reader/punch was added. Radioactivity counting instruments produced punched cards. These were converted to magnetic tape on the PDP-1 that was then used on the worker computers as input to a suite of statistical analysis programs. Some of the PDP-1 adjuncts aided either input/output or digitizing operations. These are discussed in the following sections. AUDIO EQUIPMENT - 4 speakers and a telephone handset (later, augmented with a high quality microphone) were simple additions that we added because it was easy to do. We already had, for other reasons, some good equipment to convert inputs from analog to digital and vice versa. So, it was a simple matter to add this audio input/output gear. 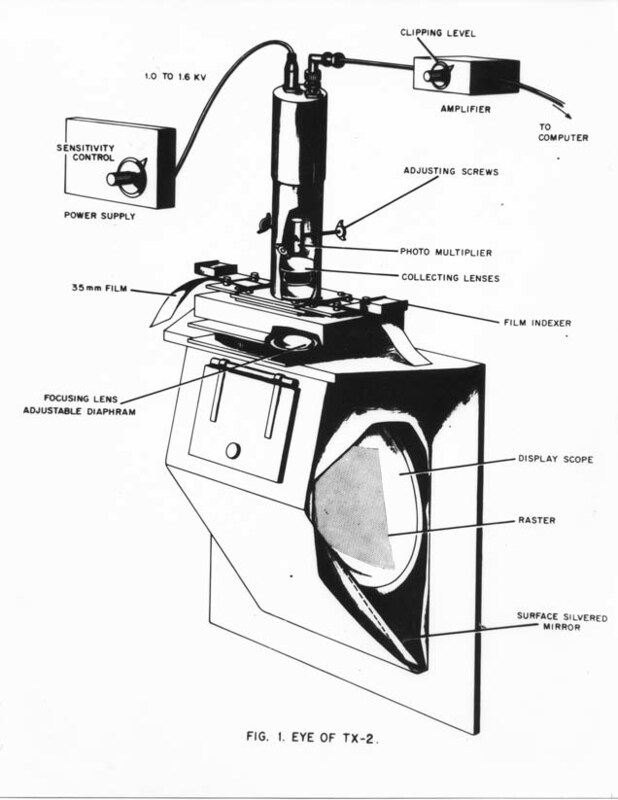 One early use was to study the possibilities of allowing a computer to report a need, such as hanging a new tape, or servicing a jammed card reader. MYLAR TAPE READER AND PUNCH - Mylar tape was used by various numerically-controlled production lathes and milling machines because paper tape was not sufficiently durable for repeated runs. A minor surprise, during the first attempts, was how hard it was to cleanly punch a lot of holes in Mylar. Special Mylar tape punches solved that problem. Most paper tapes are fan-folded, but many of the applications produced so much tape that this was awkward. Reels were introduced to make handling of such large jobs easier. RAND TABLET - The RAND Tablet was a digitizing scheme developed by a team led by Tom Ellis at the RAND Corporation in Santa Monica, CA. 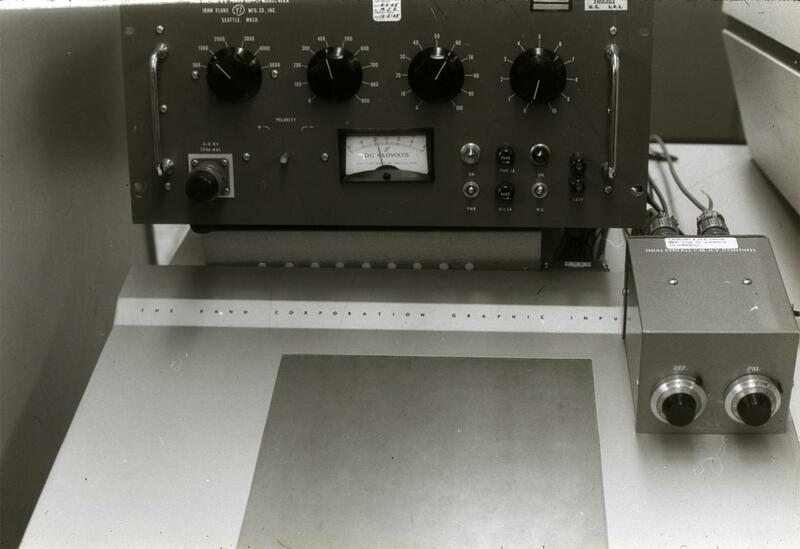 It consisted of a flat surface that contained 1024 horizontal and 1024 vertical wires and a hand-held stylus/probe. Each of the 2048 lines carried an unique address signal. The stylus was able to sense these signals. This allowed the stylus be associated with a specific (x,y) point in the lattice of possible (1024,1024) points. The RAND Tablet delivered these (x,y) points to the PDP-1. For example, one could trace the outlines of a curve or any other shape, producing some sort of digitized table of coordinates for further processing. 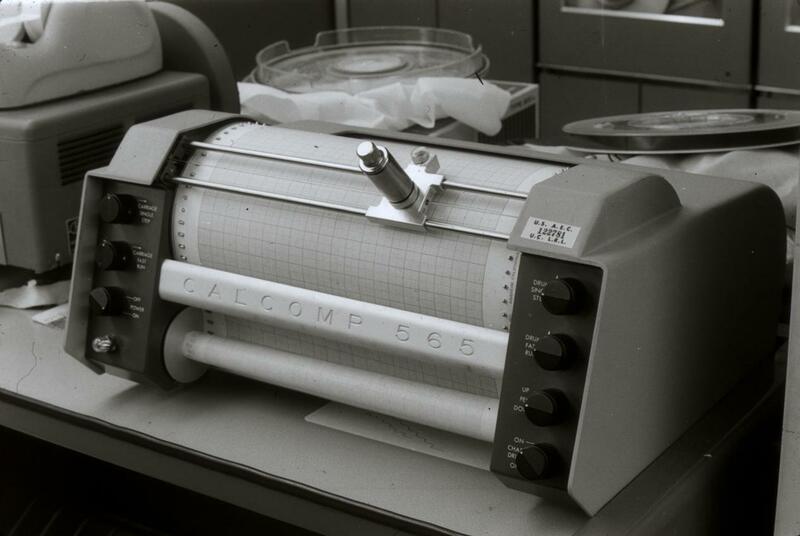 CAL COMP PLOTTERS - The CAL COMP Plotters were generally, graphical-output devices. 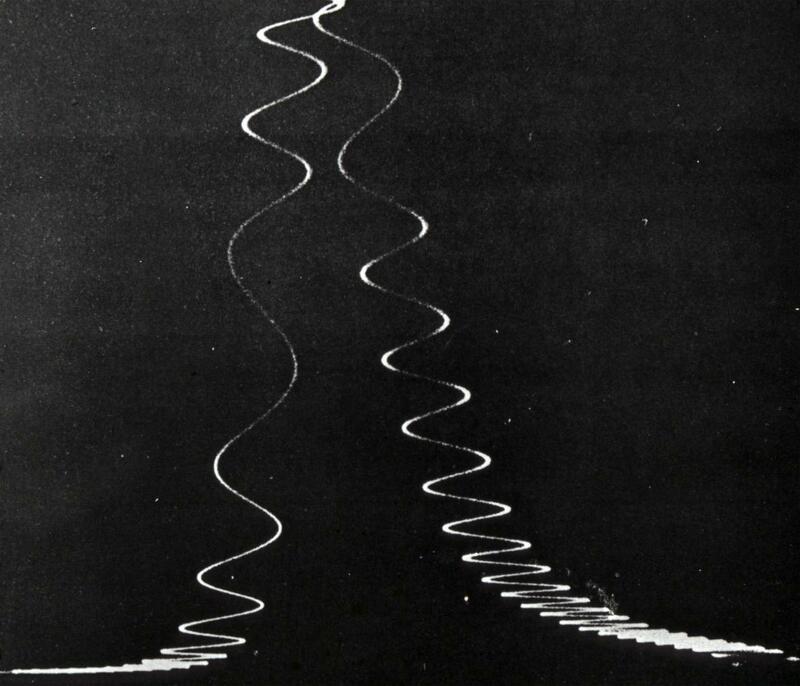 They (a 12-inch width and a 30-inch width) consisted of a roll of graph paper, 120 feet long, that could be moved in the y direction (the paper length) in steps of 0.010 inch, and a pen carriage that could be moved in the x direction (the paper width) in steps of 0.010 inch. Additionally, the pen could be raised above or lowered onto the paper surface. The speed was such that one could move about one inch per second. Using these elemental motions; paper move, pen move, and pen up or down, one could produce excellent graphs or sketches of arbitrary complexity. It was possible to include halts, so that various colored pens could be utilized, thus allowing for colored drawings. The decided advantage of these plotters was that, being digital in nature, they were able to return precisely to an initial point, an ability that analog plotters did not generally have. 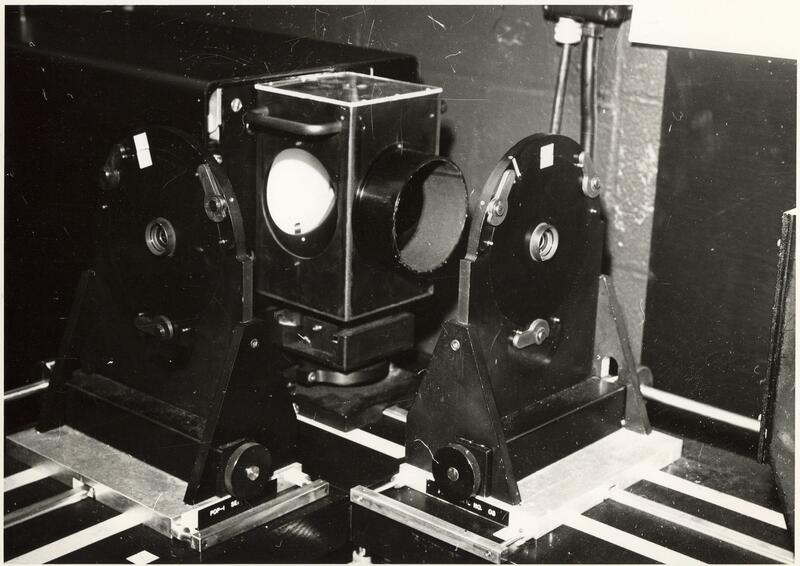 The CAL COMP plotters were used all over the country; there are even reports of successive frames being plotted on this device and photographed to produce movies at the Universities of Ohio, Toronto and Syracuse. Our plotters were driven either by the PDP-1 or from a magnetic tape on which the steps had been written at 200 steps (characters) per inch. Possible tediousness aside, there seemed to be no limit to the variety of applications supported by these devices. As with all things related to computation, only the lack of user ingenuity limited the applications. TYPE 30 DIRECT VIEW DISPLAY - The visual display, a 16-inch CRT, was a principal point of communication between a user and the PDP-1. The display lattice was the usual 1024 x 1024 points, but the (0,0) point was in the center of the screen, and the coordinate system used ones-complement binary arithmetic. The raster size was 9.25 by 9.25 inches. The plot rate was 20,000 random points per second; that is 50 microseconds per point. Also, one was not restricted to waiting for the full time needed to display a point, but could issue the coordinates of the next displayable point. This "feature" was exploited by David Mapes to produce some striking visual effects. Our experience with the delivered LIGHT PEN led to developing our own version of a light pen; one that could be made active only when the pen was in actual contact with the screen; rather like writing with a pencil. This design was carried out with the assistance of Dave Dixon and Dan Crawford in the Technical Photography Group. Most users found this version easier to use. Inspired by the Englebart group at SRI, we also built and tested several versions of the device known today as a MOUSE. Most users then preferred using the light pen, although I've never seen a convincing argument for either side of the question. TYPE 31 HIGH PRECISION DISPLAY - A 5-inch CRT display system came with the PDP-1. 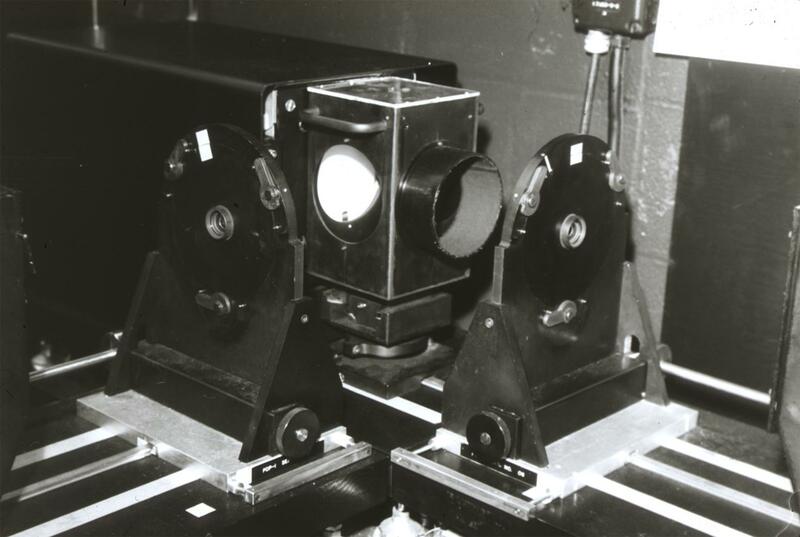 Its operation and timing was the same as the TYPE 30 visual display, but the improved resolution and stability made it more suited for precision photographic recording of images. There were 4096 by 4096 addressable points and the raster size was 3 by 3 inches. The camera had a claw pull-down and pin-registered film mover, and allowed for separate 1,000-foot film supply and take up film magazines. In both units, the points to be displayed came from the PDP-1 via the AC and IO registers; the x coordinate was in bits 0 through 11 of the AC with similar placing of y in the IO register. We provided a means to split the CRT light into two paths. This allowed us to compare the two beams in various ways and use the result to correct or otherwise interpret the original light source. A very important application arises in the development of the EYEBALL but, before that discussion, I wish to again notice a lesson of simplicity. There is no question that the TYPE 31 Precision CRT System, and the modifications we added, gave us one of the most accurate and flexible tools for movie making that then existed. But it was hardly used. The clearest reason is that it was too complicated in a variety of ways. First, it was too slow and logically distant from where the movie data were being generated--the design simulations being run on the worker computers. Second, it provided a level of capability that wasn't needed. Over and over, it was necessary for me, at least, to continually relearn the best lesson for good research: KISS--"keep it simple, stupid". EYEBALL - In early 1958 the idea of using a CRT controlled by a computer to probe a film image was being discussed by Norman Hardy and myself. Doing an experiment was postponed while the nuclear tests in the Pacific were being conducted. Starting in 1959 a first version of such a film reader was designed and built by Otto Krause and attached to one of our IBM 704s. Gail Marshall did most of the programming, and the results were very encouraging. 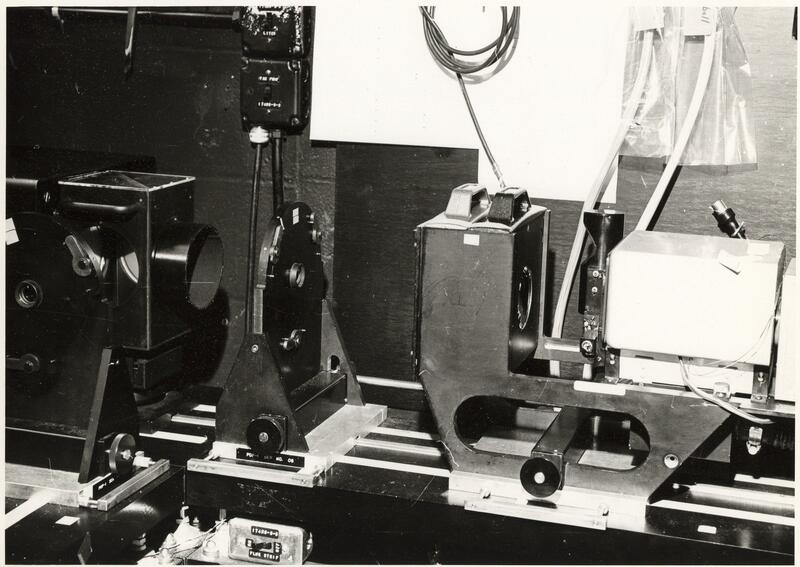 For more precise measurements, we needed a reference sample of the light for comparison with the sampling beam, and a higher precision raster would be needed to digitize the reaction history films that were being produced. It was decided that a perfect place for its installation would be on the soon-to-be-delivered PDP-1. Thus was born the EYEBALL. The EYEBALL was a computer-controlled flying spot digitizer attached to the PDP-1. Figures below show the general configuration. The programmable light source had 4096 x 4092 addressable points and 16 levels of intensity. A beam splitter was placed in the otical path to allow a fraction of the light intensity to be sent to a reference photomultiplier (PMT). 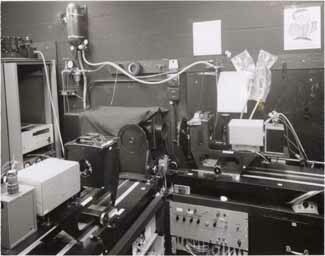 The main path had a film holder station in front of the PMT. Various film holders were available to accommodate different sizes of films from 16/35 mm rolls or chips to 4 x 9 inch sheets that were used in the experiments. By plotting a point at (x,y) one could measure how much light got through the film sample and compare it with the reference leg that showed how much light was available. A typical eyeball scan is shown below. 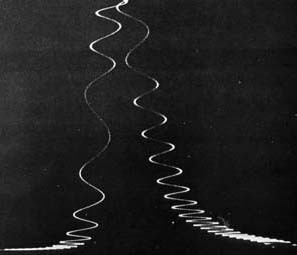 The image was obtained from a film record showing the track of a light beam, and one can see that the photograph shows a very thick trace. Note the line of light buttons at the lower left of the screen. 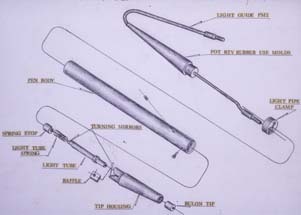 These allowed very effective operator interaction, thereby assisting the computer in the digitizing process. David Mapes wrote the film digitizing programs, and made heavy use of all the tricks we could think of to make the programs run as fast as possible - implying the execution of a computer instruction every cycle. A processing program would then be used on one of the worker computers to determine the actual path of the recording beam; that is approximately, the center of the track. This determination made use of what was known about how the recordings were produced on the films. CRT writing beam intensity and deflection speeds, and phosphor dynamics plus how the images were made visible by the film development process were all considered in the determination of what exactly was the path of the writing beam. As you might have thought, most of these dynamical factors had only slight influence on the final answers, but they were fun to consider in building a complete computer model of the process. 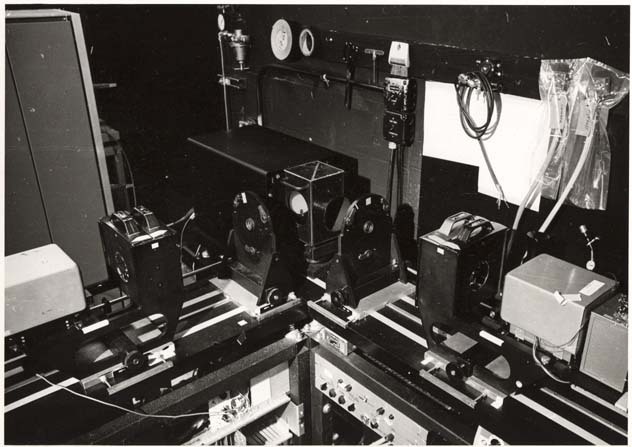 In addition to reaction-history films, the EYEBALL was used to read weather charts, fingerprints, faces, and even sheet music. Some might be inclined to suspect that other than "proof-of-concept" demonstrations, nothing much came of all this adventuring. However, the analogy with piano playing serves as a rationale: the more one practices, the more mastery over the instrument is gained. The first EYEBALL device was developed for use with the Model 740 CRT on the IBM 704. This was in 1959, and our test uses of it showed that a more accurate version would be very useful. We replaced the camera that ordinarily imaged the CRT with a platen to hold exposed film, backed with a Photo Multiplier Tube (PMT). If the PMT didn't see any light when the CRT point (x,y) was plotted, it meant that the corresponding point on the film sample was preventing the light from getting to the PMT; by implication, a piece of the image was blocking the light. Similarly, if light was seen, the film was clear at that point. 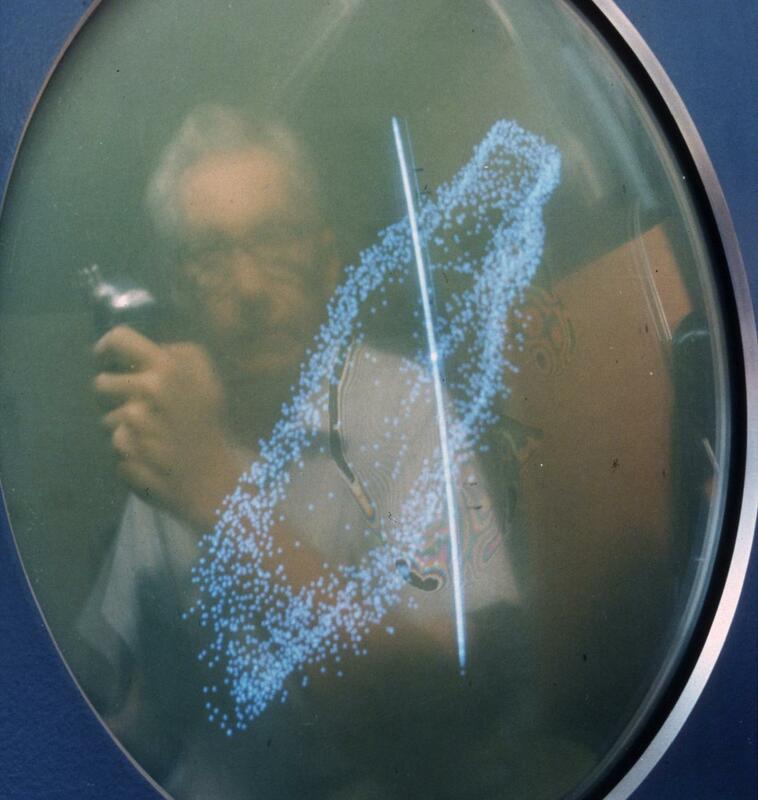 In effect, this computer-controlled "flying spot scanner" was used to build a mosaic of points where an image existed. Again, this application was too time consuming to be run on a worker computer, so it was moved (with some embellishments) to a dark room next to the PDP-1. The addition of the CRT reference leg made it possible to read all sorts of photographically noisy film. Later versions of the EYEBALL were also able to digitize images on opaque material such as paper. In this case, the PMTs sensed reflected rather than transmmitted light. The applications included films from experiments, seismic records, and fingerprints. Although it could read sheet music, it didn't do it smoothly and we never implemented an ability by the PDP-1 to play music . Attempts to read text were also not successful enough to stimulate anyone to work on developing that application. A few years later, in 1964, it was with considerable pleasure that I met H. Philip Petersen, then with CDC in Burlington, MA, and learned that he and others had independently invented an Eyeball-like device also in 1959. 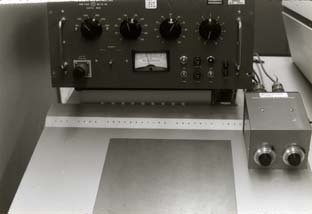 Theirs had been used on the TX-2 computer at Lincoln Laboratories. 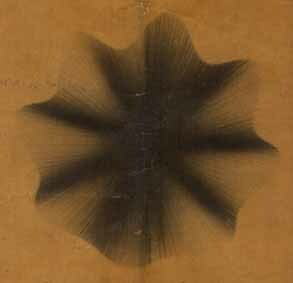 Among other things, he used his scanner to digitize a 35mm slide of the Mona Lisa which was then played back on a 30 inch Cal Comp plotter, and achieved considerable attention throughout the country. 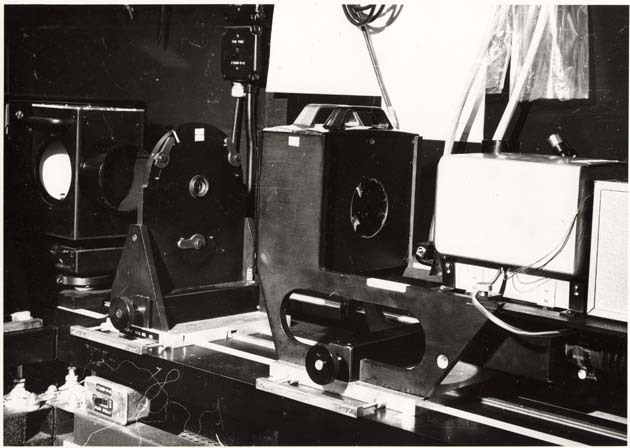 Our Eyeball was used regularly to read the films from a variety of experiments until it was replaced by the considerably more accurate PFR-2 (the Programmable Film Reader) built by Information International, Incorporated for the AEC contractor, EG&G in Las Vegas. This is an aside to those sharp-eyed persons who see a weird spelling of "Octopus." When we were devising the resource-sharing scheme some of us were (perhaps) unduly impressed with the effectiveness of the Octal numbering scheme, thus "Octopus," (many parents seemingly do much worse in naming their offspring.) In any event, our version never caught on; people decided we couldn't spell even though we told them it was not a mistake. Peter Samson, then at MIT, developed a full notational system to write and play music on the PDP-1. Never before or since have I ever heard a Bach Trio Sonata executed so flawlessly. Let me add, for the sake of completeness that around 1966, Norman Hardy and Ted Ross (IBM) used an IBM 704 at LBNL to play single voiced Bach compositions. They produced at least one LP record of this adventure. click on a file name link to see a very large version. Perhaps most notable are the two light pens. One was supplied by DEC with the Type 30 direct view CRT. It was used somewhat like a flashlight, in that it could be held at some distance from the screen, yet still "see" the CRT light. The other light pen was more like a pencil; it was active only when in contact with CRT screen. For a closer look please refer to Figure 7 in this article. The idea here was that each phoneme would have a distinct visual pattern, and one could therefore identify what was being said. Nice, but not a realistic approach. This view shows again the beam splitter in front of the CRT, and additionally the Cyrogenic housings for the Photomultipliers (PMTs). An additional view of these coolers is given in Figure 15. These housings lowered the temperature of the PMTs thereby reducing the systematic noise of these tubes. We found that ensuring that the PMTs were operated in the most linear portion of their response curves was generally sufficient for accurate and stable measurements. Thus the Cryogenic coolers were logically redundant (like belt and braces), but the potential for additional noise reduction was considered reason enough for keeping them installed. This is the configuration we used for the PDP1 Most of the devices we attached to this computer are labeled. Not labeled is the RAND Tablet, at the left corner of the table next to the Type 30 Visual CRT. The Master PM Voltage Controls and the PM BALANCE VOLTAGE TRIMMERS allowed a user to adjust the sensitivity of the EYEBALL film reading device. Among other factors, the condition of the film sample could thereby be accommodated. 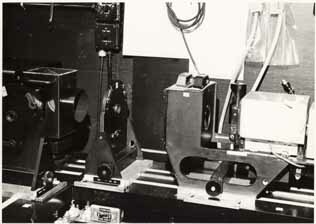 The FOOT SWITCH was another device to allow the EYEBALL user to interact with the digitizing process. Also not labeled is the Telephone handset, and the (barely visible) set of four speakers that together supported audio input and output. To minimize PMT noise, the tubes were housed in cryogenic coolers, visible in Figures 15 and 17 through 11. 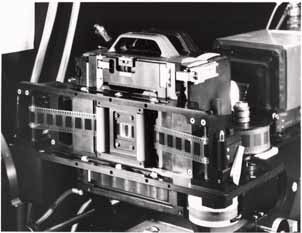 This rack of hardware in Scan 6 was used by the EYEBALL as a part of the PMT cooler controls and certain of the film movement controls used by the film holders (one is visible in Scan 9).